At Great Plains SPCA, we have eight cat colony rooms. The cats' kennel cards are inside the rooms so that people can read about the cats while they are visiting with them. On the outside of the rooms we put name plates so we know which cats are in which room. To make the cattery a little more festive, we put up new name plates for each holiday. 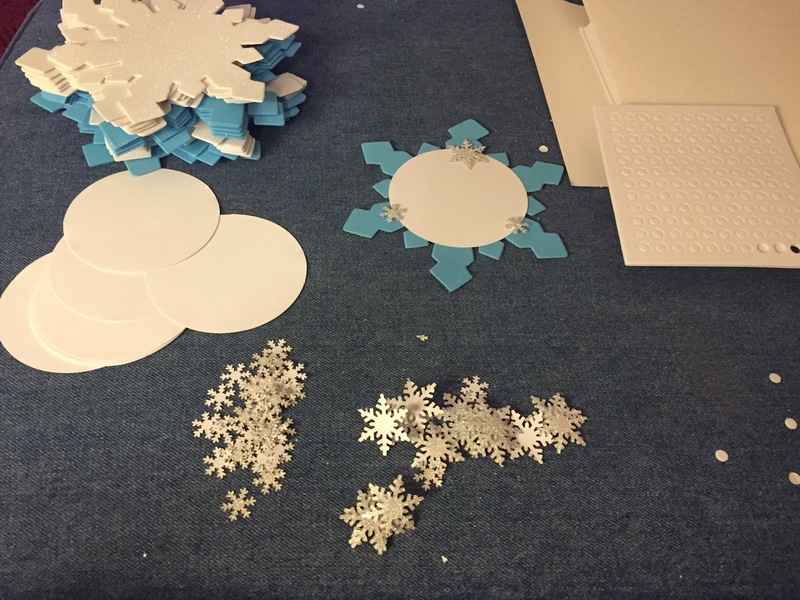 For January, I am making snowflake name plates. 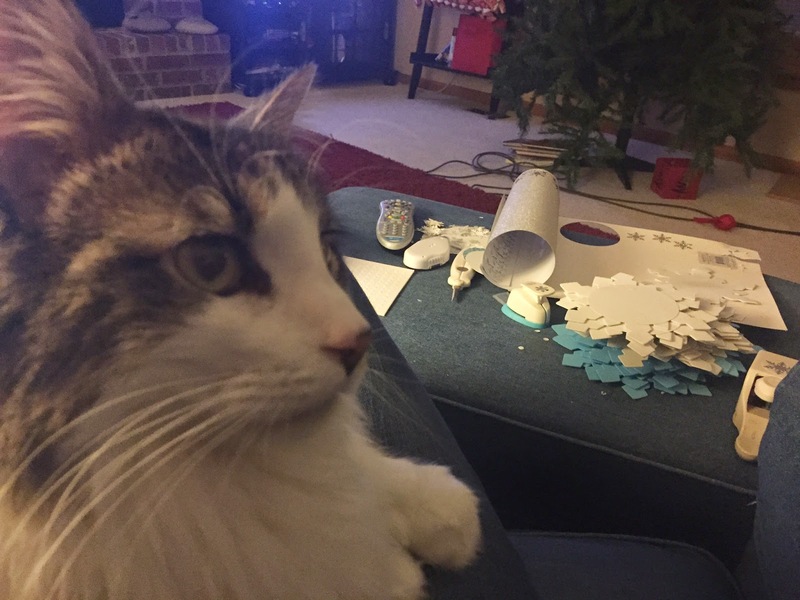 Of course, no craft project is complete without my handy "helper" Jaq. I use foam shapes as the base for the name plates. Foam is sturdier than paper and can be wiped off if needed. 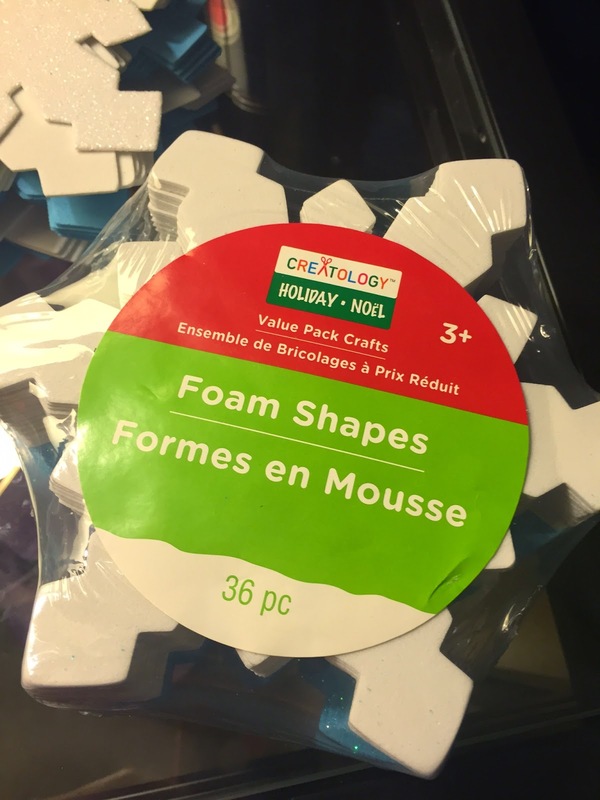 Since I waited to buy the foam shapes until after Christmas, they were 70% off. Bonus! To make the name plates reusable, I use white board paper. 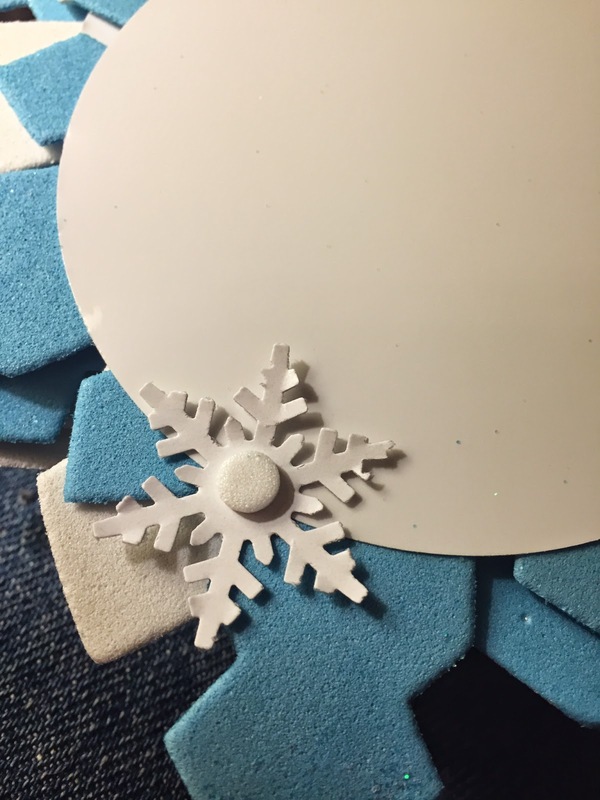 I used a circle punch to make the white board paper in the shape of the middle of the foam snowflake. 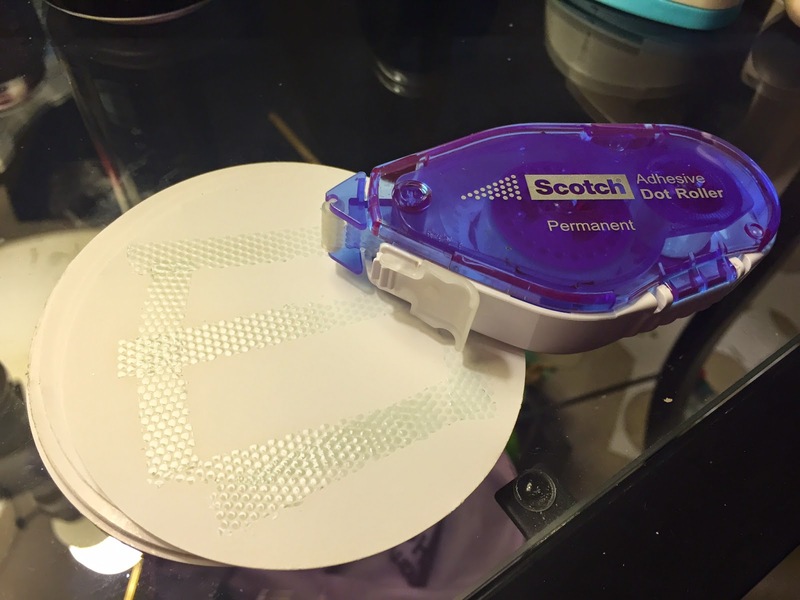 I use a scrapbooking tape runner to attach the circles to the foam snowflakes. Some of the snowflakes have glitter on one side. 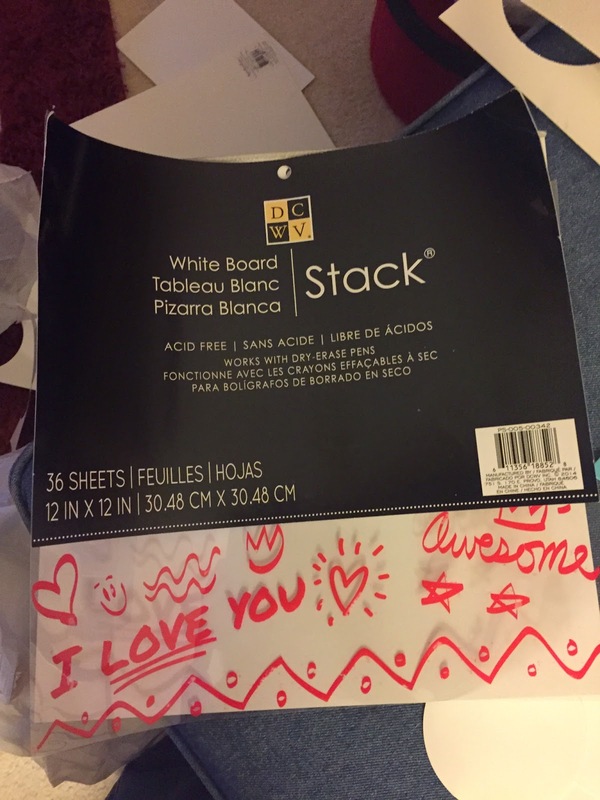 The white board paper doesn't stay attached to the glitter side so attach it to the smooth side. 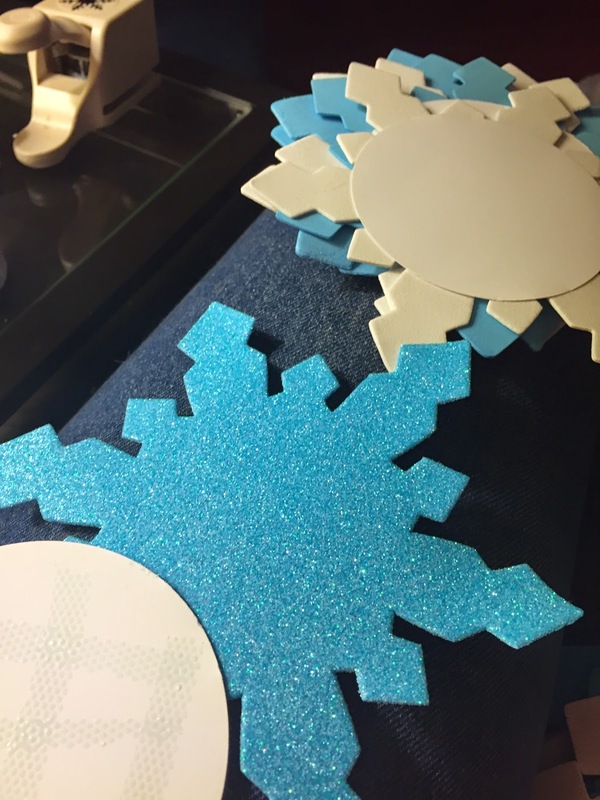 Now it's time to add a little bling to the snowflakes. Normally, I add stickers to the name plates but I couldn't find any reasonably priced snowflake stickers. Instead I bought some sparkle paper and used a snowflake punch. I used foam dots to attach the snowflakes to the name plates and to add a little depth to the name plate. This is the finished project. We attach the name plates to the glass doors using Command strip hooks. We write the names on the name plates using white board markers. 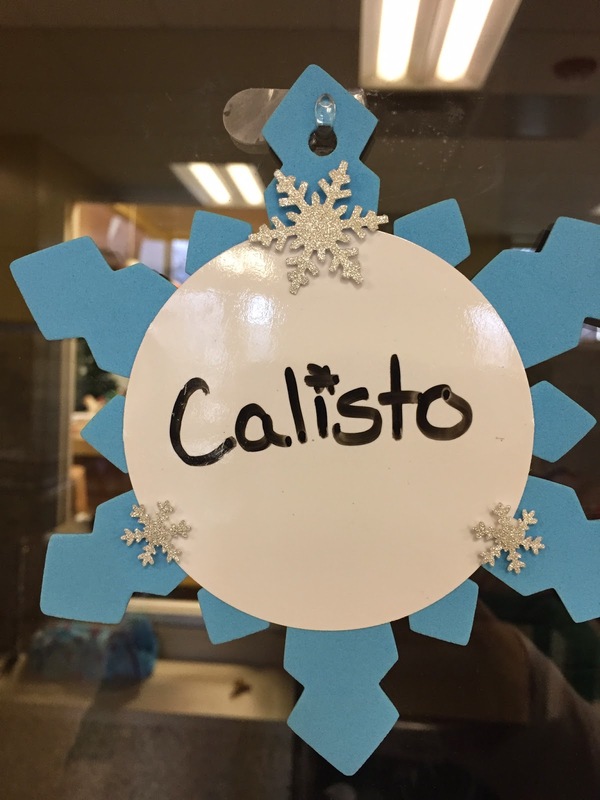 Then when a cat gets adopted, like Calisto did, we erase the name and write the new one. Be careful in choosing the surface on which to use the punches! 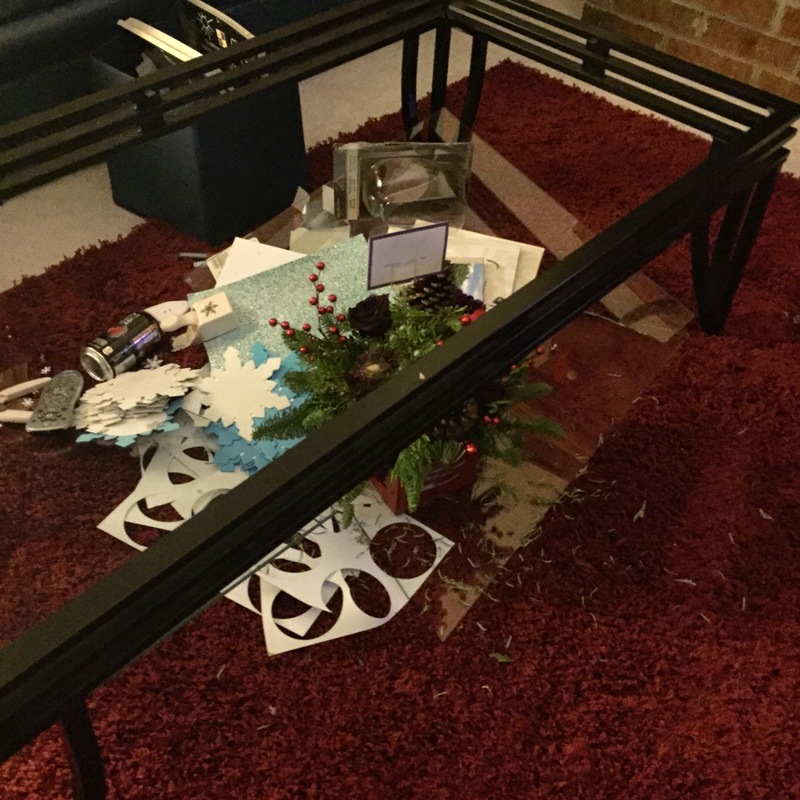 I made a poor decision and was working on my glass coffee table. The original glitter paper I used was too thick for the punch. I applied to much pressure to the punch and it went right through the glass. Luckily, no humans or cats were injured! I love seeing the festive name plates on the doors. These are very pretty! Thanks, Amy! They are fun to make!